Grant Desme (now Frater Matthew Desme) and Chase Hilgenbrinck (now Fr. 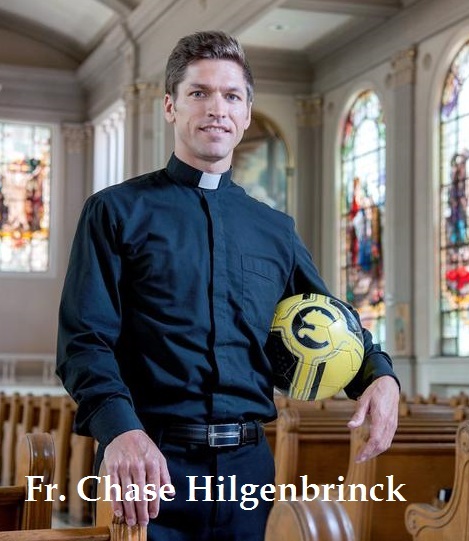 Chase Hilgenbrinck) were two young professional athletes (Desme played for the Oakland A’s and Hilgenbrinck was a soccer player who once made the United States Under-17 national team) who, a number of years ago, made the news for leaving professional sports and entering seminary. Hilgenbrinck played his last game on Sunday, July 13, 2008, at Gillette Stadium in Foxborough, Massachusetts. The following day, he retired and later on entered Mount St. Mary’s Seminary in Emmitsburg, Maryland. On the 24th of May, 2014, Father Hilgenbrinck was ordained a priest for the Diocese of Peoria. Desme left (“shocked” would probably be a more apt word) the baseball world in January 2010. He was 23 at the time and had just been named 2009 Arizona Fall League MVP and was on his way to playing in the majors. Frater Matthew Gregory Desme is now part of the Norbertine community at St. Michael’s Abbey in Silverado, CA. I can still remember the responses from the blogosphere at the time when these two young men left professional sports to begin their journey in formation. The opinions people expressed were quite telling. For every one that praised them, there were five or more who called them rather unkind (even nasty) names for what some judged to be a crazy or absurd decision. Most of the reasons for their surprise and dismay could perhaps be summed up by one of the most asked questions by bloggers and twitters at the time: “How much do priests make anyway?” There were other questions, of course – most of them having to do with the usual things seminarians find themselves asked by those curious about the decision they’ve made to leave all the “possibilities” of ordinary life behind. Perhaps the world will simply never fully understand. The theologian Richard Niebuhr once said that while we Christians are called to love the world as God does, there will always be a necessary “againstness” between the world and ourselves—because while we are “in the world”, we are not “of the world”. To the world, much of the things that are important to those who feel themselves “called” will appear absurd, irrational, even downright mad. And that’s hardly surprising. In one particular gospel passage, even Jesus’ relatives and friends who couldn’t believe what he had set out to do, simply declared that he had “gone out of his mind”. It was the same opinion expressed by many about the young baseball and soccer players. And I’m pretty sure a number of my own seminary studentshave heard something similar said about (or to) them, even by their close friends. For us priests and seminarians, of course, such words take on a deeper meaning. Just as the two athletes’ sacrifice of money and fame will not be their last, neither will our sacrifice of entering the seminary and turning our back on the world be a one-shot deal. Instead, it involves a daily, hourly, and minute-by-minute dying to ourselves. Without these “little deaths”, the great sacrifice of saying “no” to the world will mean precious little and might even become a cause of regret for us later on. Without dying to ourselves continuously day in and day out, that initial step we took of entering the seminary eventually loses its power and meaning. "The Son of Man must suffer greatly and be rejected by the elders, the chief priests, and the scribes, and be killed and on the third day be raised." And while he knew and spoke of the great suffering and death he was to eventually endure, the many small acts of hostility (and even violence – They even wanted to throw him off a cliff once.) he experienced throughout his ministry at the hands of his adversaries, showed his disciples – in no uncertain terms – the kind of crosses, the “little deaths” that they themselves would eventually have to endure. What was true of Jesus and his first followers is true for us. 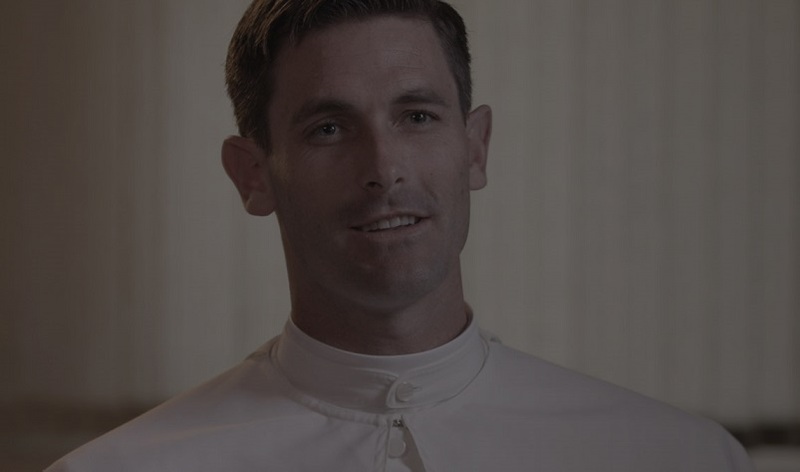 The only way our decision to turn our back on the world - to “die” to it - the only way our decision to follow Jesus by entering the seminary can be truly meaningful and fruitful, is if we learn, day by day, hour by hour, minute by minute, to die to ourselves and choose not the way of the world, the way of ease and comfort, but the way of Christ. And if this choice of ours is judged by the world to be “insanity”, then so be it. Perhaps we’re called to be “madmen” for Christ. It’s an edifying thought—but what could it possibly mean for us concretely and practically? When I was a young seminarian , I got this very useful advice from my spiritual director. “You want to learn to die to yourself?” he once asked me. “Think of that one thing you dislike the most in seminary, that one thing you often avoid doing at all cost. Then do it with all your heart”. Believe it or not, for me, it was studying.